Have you been itching to explore ancient ruins, get embroiled in otherworldly politics, and fight hordes of creatures, all from the comfort of…wherever you take your PS Vita? Your wait may be over, as long as you’re willing to forgive a few glaring flaws. 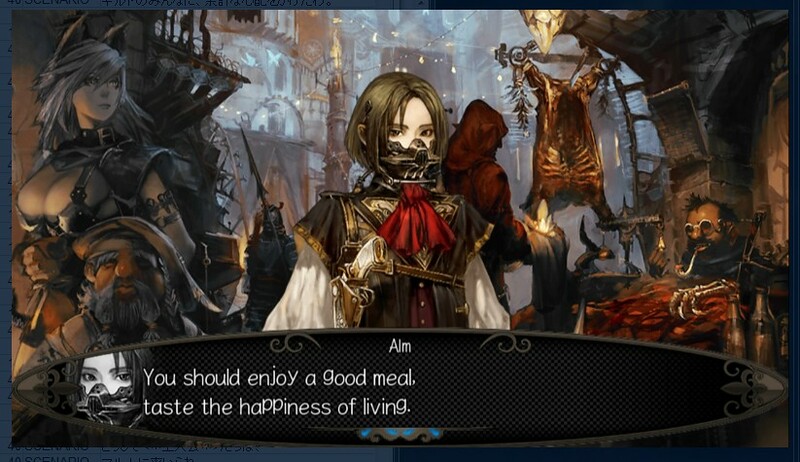 Stranger of Sword City launches today in the U.S. for Vita, preceding a European launch on Friday. Originally released in Japan for Xbox 360 and PC in 2014, the dungeon crawler RPG received its first breath of new life last month on Xbox One. 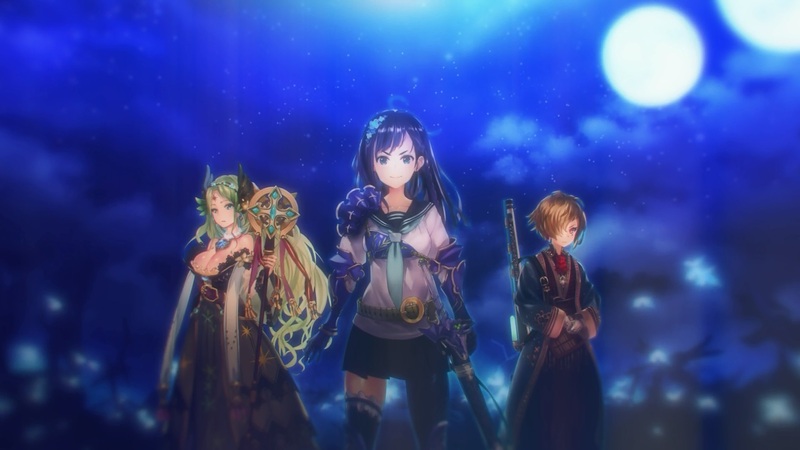 Developed by Experience Inc and published by NIS America, the title aims to create a challenging dungeon experience. And, while it succeeds by developing engaging party management and combat systems, it does so at the expense of character development and coherent narrative. The story of Stranger follows the sole survivor of a plane crash. He is quickly met by a mysterious warrior and ushered to the Strangers guild, a group of other humans who have arrived in the kingdom of Escario through similar tragedies. Like Dorothy, the main character quickly realizes he is not in Kansas anymore. Unlike Dorothy though, he’s got himself some sweet new powers. Some humans in this universe have latent abilities, which allow them to slay otherwise invincible creatures. “Strangers,” as they have become known, are able to absorb the monster essence to fuel unique abilities. In the wake of their leader’s mysterious disappearance, the Strangers are trying desperately to use their newfound strength to create a way to return to their world. Even so, at least a few of them feel more purpose in their role as monster-hunters than they did in their previous lives, and may be hesitant to return to normalcy. That, ladies and gentlemen, is a solid premise. Sadly, it never really takes off from there. Two other leading groups are introduced, and all of the characters settle into their neat little boxes and don’t look back. Most of the interactions are trite and forced. The three factions can’t decide if they want to cooperate or squabble, but they can all agree that you, as the “Chosen One,” are the only person who can go to this forest or that lake to retrieve this artifact or kill this beastie that is so much worse than all the other beasties. The “choice system” that the game touts involves interactions with the leaders of the three factions. Blood crystals, the driving force of the game, are earned from slaying Lineage Types, or boss monsters, and can be turned over to any of the three “Vessels” who can wield their enormous power. Vessels return the favor by providing the player with “Divinities,” special team combat powers. Guaranteed escapes, strong heal-over-time effects, and offensive boosts are among the powers available early on. The player’s first three crystals are divided among the Vessels as they are introduced, but most of your later trophies can be distributed at the player’s discretion. Players can support their favorite character or devote resources towards unlocking the Divinity that will best enhance their play-style. As the story fell flat, the game is primarily a grind-fest. Thankfully, there are a couple of functions to speed things up a notch. The map has a handy auto-move function, for navigating areas that have been previously explored. In combat, players can enter commands and then skip straight to results instead of watching each individual action. Similarly, players can repeat previous commands, even from earlier battles, which makes speed-leveling nicer than most turn-based RPGs, as long as players keep an eye on character health, status, and MP of casters. This feature was nice, but a system like the “Gambits” from Final Fantasy 12 would have fit really well. It would have been simpler to be able to set clerics to auto-heal when a teammate drops below a certain health percentage, or for wizards to conserve mana and only cast spells on an enemy with X health or more. Stranger is not exactly Dark Souls, but the game is quite punishing in terms of death mechanics. Characters have two or three life points. Death in battle takes a life point and forces the player to either pay hefty fees to revive or leave the character at the base for a while to recover. If all of a character’s life points are lost, he will “Vanish” and be permanently removed from your team (except the main character). And of course, if all of the party characters die while in a dungeon, you’re right back to the last save point! Stranger definitely encourages players to adventure thoughtfully. Walking all the way out of a nearly-completed dungeon can be frustrating, but risking your best members is rarely worth it. Having to bench characters who have lost a life point necessitates having a deep roster of capable tanks, healers, and fighters. There are eight classes to pick from when creating a new team member: a tank, two melee specialists, a healer, damage caster, bow-user and two utility classes. Thankfully, characters that are waiting in reserve at the base won’t be idle: they’re busy training to gain experience and currency while you’re away. Using a six-member party system allows for a bit more flexibility than typical RPGs with three or four slots. Players can fill the usual roles and still have plenty of room for their favorite damage and utility classes. Characters can change classes at any point, transferring two skills to a new class and cutting their level in half. At level 13, characters receive a skill token, allowing an additional skill to be used on that new class. Leveling multiple classes to 13 can earn a character up to eight cross-class skills, spells, or weapon/armor proficiencies. Classes can be changed a maximum of five times per character. It’s finally possible to have the heavy-armor wearing, fire-throwing, boomerang-wielding ninja that you’ve dreamed about. And she can even dance a little, too. One of the most important combat mechanics is the “hide/ambush” feature. Players can use “Morale,” a resource like HP or MP that is also used to fuel Divinities, to activate the ability in certain areas of each dungeon to begin battles for additional gear rewards, provided that the team can take down the enemy leader in only a few turns. Players are able to pass and move on to another fight if they are not interested in the gear type or the enemy is too strong. In addition to different enemies, many new dungeon areas also host environmental hazards or barriers. Some of these effects could be countered with preparation. One mid-game dungeon automatically poisons the party, but the damage over time effects can be largely negated with healing equipment. The Mausoleum of Forests, an early dungeon, includes several branching pathways that turn players in a random direction upon entering. This was reminiscent of Ocarina of Time’s “Lost Woods,” but without the comforting allure of Saria’s song to guide you through. At any point in a dungeon, players can suddenly find themselves in trouble if they’re not carrying at least one “Butterfly Wing,” enabling an instant return to the city. The gameplay is definitely a bit repetitive. The enemies and conditions varied from zone to zone, but it wasn’t enough to spark or maintain a lot of interest. Usually characters will warn about upcoming restrictions or conditions, so it felt like I was a schoolboy following orders rather than a semi-intelligent adventurer. “Anna told me that stepping in steaming purple pools is bad, so now I know that I shouldn’t do that.” It would be more fun for the player to enter, unaware, into battle with a squad of ghosts and attack them with little effect. Heaven forbid the player has to think for a second to come up with a solution. Absolutely not! If someone tells you five minutes earlier that you have to use a certain spell before you can fight them, it removes a challenge and replaces it with a chore. Stranger broke from one of gaming’s holiest commandments: “Thou shalt complete quests and be rewarded, lest the quest-giver surely perish.” I didn’t realize I was an absolute sucker for Pavlovian conditioning in games until this title showed me exactly how lame it is to get nothing for most of the quests. You finish listening to whatever nonsense the quest-giver is spewing, and you see a little pop-up that says you finished and then… that’s it. I believe I’m owed some gold and some equipment that I’m probably not going to use. And a sense of satisfaction. Pay up! Visually, Stranger boasts an exotic world filled with gorgeously detailed inhabitants. Some of the creatures are cute, while others could creep, swim or fly straight out of Tim Burton’s nightmares. Players can choose from nearly 80 avatars in the character creation process, and all of characters met while adventuring are stunning and varied in design. The level of visual detail really helps breathe life into Sword City, even without animation. Several particularly provocative images blend fantasy with reality. Most characters are decked out in medieval armor, but one girl has a cell phone strapped across her chest. Castles and fortresses dot the landscape, yet one faction leader rules from a grounded cruise liner. This dichotomous effect reflects the unnatural presence of the Strangers in Escario, driving home the sensation that a great change is breaking upon this new world. Elsewhere, the title’s musical score is largely unobtrusive. It remains soft and neutral while navigating the menu or visiting one of the city areas, then adjusts to fit the atmosphere of each dungeon. An upbeat battle track set the stage for countless skirmishes. The music may not distinguish itself, but only because it fits seamlessly into the overall medium of the game. 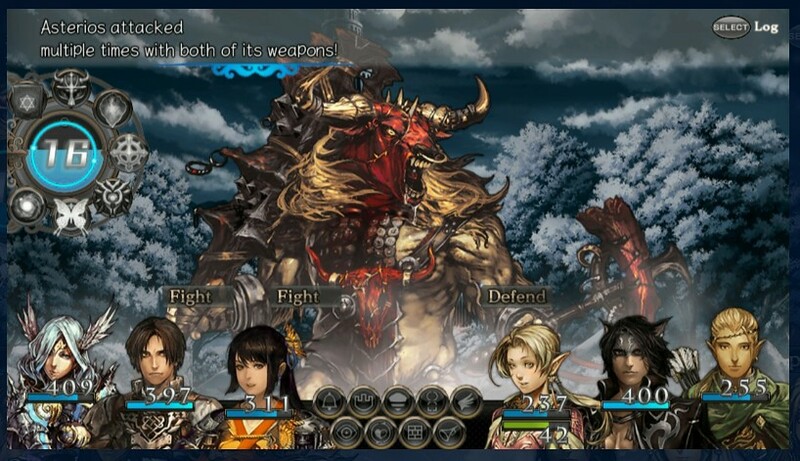 Stranger of Sword City is visually stunning, and has a depth and breadth to its combat. Creating a capable team of adventurers, gearing them up, and braving some genuinely difficult dungeons will be a balm for dungeon RPG fans everywhere. However, none of the characters progress beyond mere tropes, preventing the blossom of a hopeful premise. The overall lack of narrative, coupled with some tedious gameplay elements, may hinder the title’s appeal to mainstream gamers.